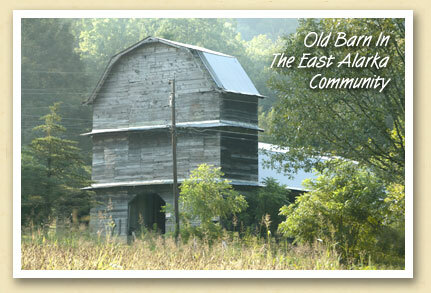 When you drive past old barns in the Smokies, it’s not uncommon to see a silo nearby, or even attached to the barn. The tall concrete or metal towers were used to store “silage” — fermented cattle feed. Everyone knew that “contented cows” gave better milk. In 1943, when Andrew Earl built this barn on his East Alarka farm, he enclosed his twin silos within the structure, creating one of the most unusual barns in the Smokies.